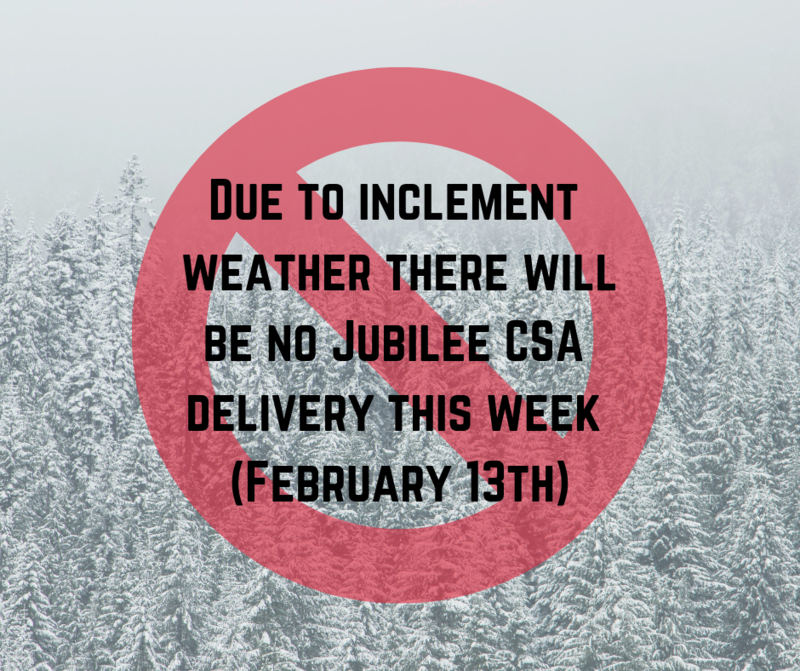 We are sad to say that we will need to cancel the delivery of our CSA for February 13th. Potentially unsafe road conditions for both our crew and for our members led us to this decision. We should be back at it as regularly scheduled next week and will make up this loss in the value of our upcoming boxes. Thank you for your understanding!